Is anyone else dreaming about warm weather? Goodness knows I have been! And even though it’s only February, I can’t help but scheme about sweet and simple spring projects. 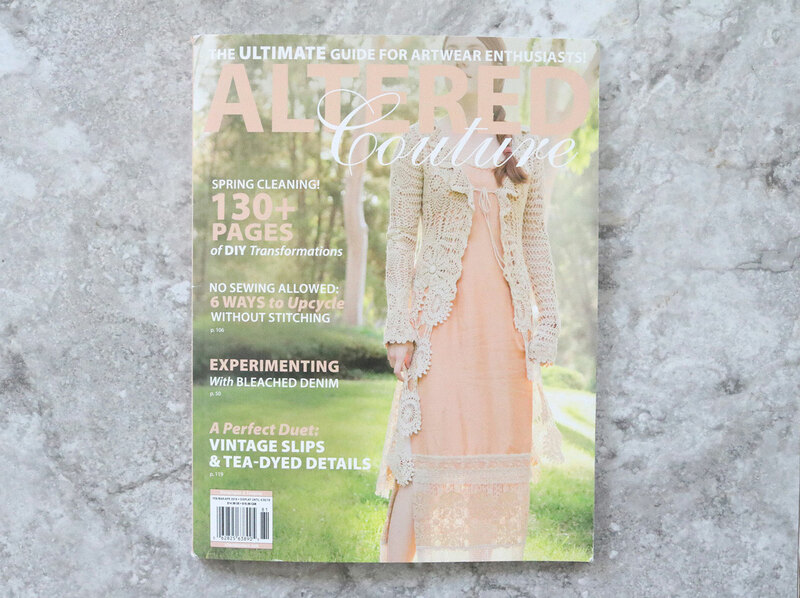 Thankfully, the latest Spring 2018 reissue of Altered Couture is packed with inspiration, including my very own No-Sew Off-The-Shoulder tunic made from a men’s button-down shirt. 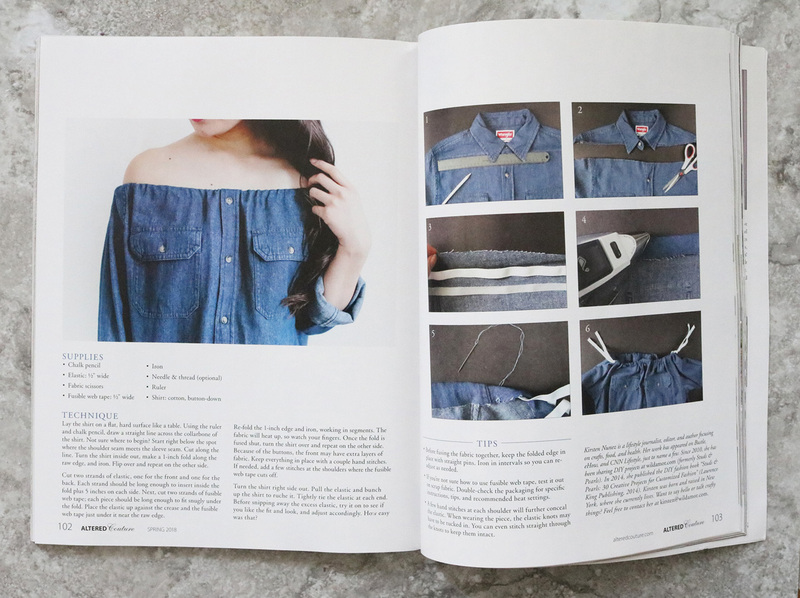 You can find the tutorial on pages 100 to 103, along with so many awesome no-sew projects. Just in time for spring cleaning, of course. You can find the issue at select Michael’s, A.C. Moore, and Barnes & Noble locations, along with Stampington & Company‘s website.